There are many interesting apps on the Google Play Store depending on the tasks that the application performs. 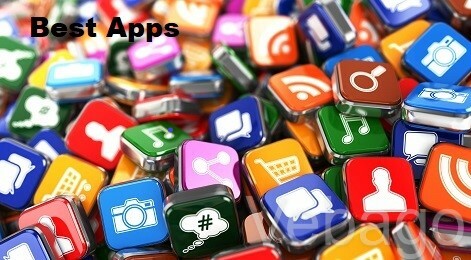 Here are some best apps to try. 10Bet: An app which is designed especially for those who are looking to bet on various favourite sports. Get €200 free bonus when users registered for the app which can be used to bet. Check these 10 best sports betting apps if you are interested. Quora: It is the best platform for curious peoples to ask the questions and gets interesting answers to your questions. A forum for everything where you will get the world’s knowledge and can connect to the people who have a knowledge in a particular category. Pocket: A place where the most interesting stories on the Web can be saved and read it later in a single place. You can check these saved stories or videos on any device, anytime and you don't need any internet to access these. Keep: Save your thoughts, Capture what’s on your mind. Add notes, Lists, Photos, and audio to Keep. Pixlr: The free photo editor app makes the images beautiful with the filters and effects. Create photo collages, Layer multiple photos and more. Kids Fun Learning: An educational app which is designed with lots of fun to keep children learning. The app contains different types of educational contents that kids really love it like animated photos and sounds, Alphabets, Birds, Flowers, Animals and many more. Disa: It is a Unified Messaging hub that can quickly organise! Merge contacts, Telegram, Facebook, Text Messaging services and more. Androidify: Create Android characters that look like you, your family member, your friend, anyone and share the pictures over texts, posts or chats. VideoShow: A video editor & video maker app which offers excellent video editing features. You can beautify your videos or music clips with texts, GIFs, multi-music, photo filters. You can also create a video or slideshow with photos, music, stickers, sound effects, almost anything you want in a creative and personalized way.